If I had to guess, I would say there’s a pretty darn good chance you aren’t currently living in your dream home. But that doesn’t mean you have to be miserable where you live, right? Your home should be your happy place, regardless of your financial circumstances or how much square footage you have. My hubby and I spent much of the winter talking about moving into a new home. While our 1,700 square foot ranch home is by no means a tiny home, it started to feel a lot smaller once my husband’s role changed at the company he works for and now spends most of his time working from home. With both of us working from home with our 21-month-old daughter, our place started to close in on us and we felt like this spring might be a good time to upgrade to not necessarily a larger home, but one with a different layout that would be more conducive to providing quiet office space away from the main floor. We ideally would like our next home to be our forever home, and with that comes a lot of “must-haves”. Things like a larger yard, a more open floor plan, and enough space for my husband and I to each have our own home office away from the chaos of kids. All of these things of course mean a higher price tag too, which is something that we just aren’t willing to take on at this point. So we ultimately made the decision that we will stay in our current home for the foreseeable future, and I’ve been pretty surprised with how much my attitude towards our home has changed since we decided to stay and be happier in our own home instead of buying something new. It sounds so simple, but keeping your home tidy can really work wonders for your attitude about your current house. After all, who enjoys living in a chaotic space anyway?! I’ve been trying to establish new habits to help me stay on top of keeping our home tidy, and I can honestly say that it’s made such a difference in how much I enjoy our home. I’ve been doing things like turning our dishwasher on every night before bed (no matter how full it actually is), unloading the dishwasher every morning, doing the dishes after every meal, and doing a clean sweep around the house to put away toys and other things before bedtime. 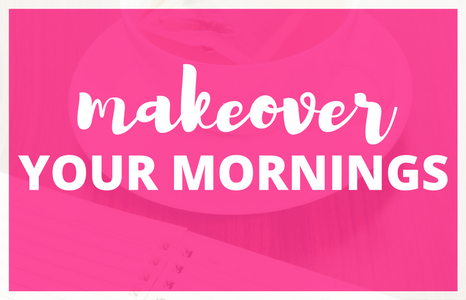 It doesn’t sound revolutionary, but doing a few minutes of cleaning and tidying up throughout the day has made it so much easier to keep up with it all! We also rearranged our family room and created a play nook for Little Miss to keep all of her toys, and I’ve loved how easy it is to put her toys away now versus when we kept them in her bedroom closet. Everything has its place, and it makes it totally brainless to put things away. We’ve been in this house for 4 years now (it’s the house we purchased together when we were engaged and about to get married). While it’s always felt like home, it’s never felt “homey” if that makes sense. I think it’s because I always knew we wouldn’t be in this house forever, so I never wanted to spend too much money decorating it. Which is kind of silly, because I should always be focused on the present and just enjoying where we are at now instead of dwelling on the fact that this isn’t our forever home. I decided to throw away that attitude and have fun decorating this house. I tend to forget that things like decor will move with us anyway! 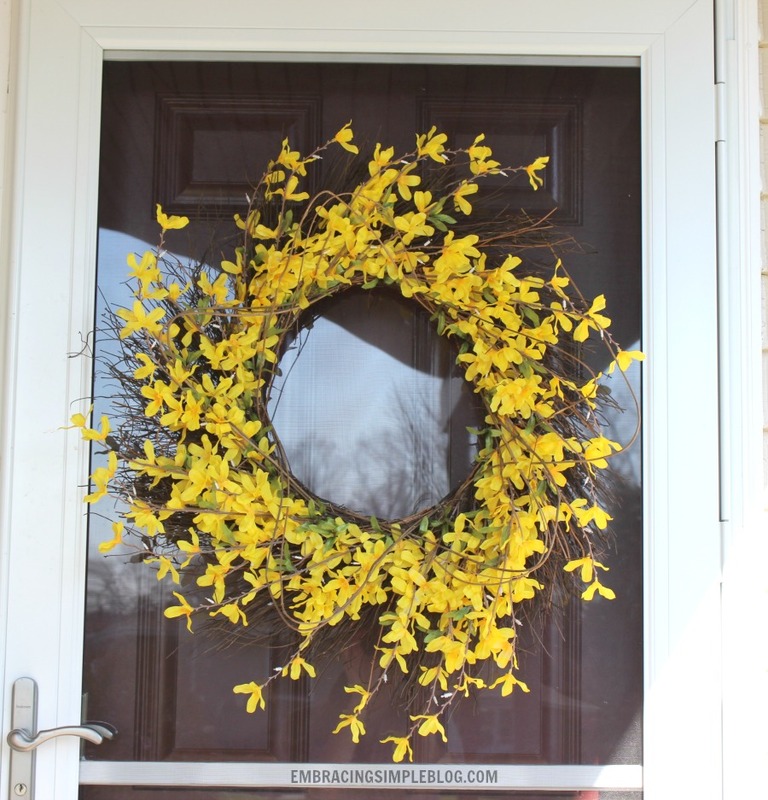 I recently purchased this beautiful forsythia wreath for our front door that I fell in love with, and it makes me so happy driving up to our house now and seeing it every time I come home. It’s such a small addition to my decor, but really has helped me to fall back in love with our home again. Instead, try focusing on what you absolutely love about your home. For me, I’ve recently fallen in love with the huge covered front porch and walkway we have. It’s all concrete, so Little Miss can color with her chalk and play. We can even sit under there during a spring rain shower and not get wet – I love it! 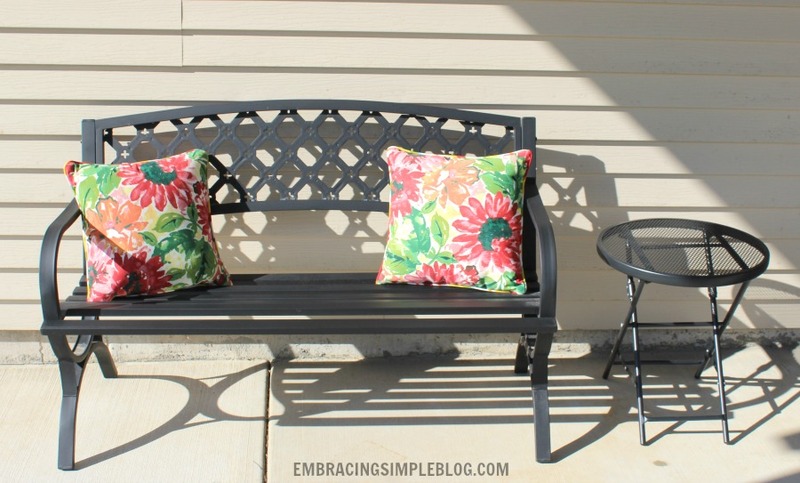 My Mom gave us this adorable little black bench last year that they were no longer using in their garden, and I decided this month that I would spruce up this area a bit more by bringing in some cheerful outdoor pillows and a small table to put drinks on. These simple additions to this space have allowed me to enjoy spending time in this area even more. I’ve really loved watching my daughter play in our front yard from this spot! I adore this covered front porch so much that I’ll now be sad to leave it if/when we do eventually move. If you are struggling to find more usable space in your home, try thinking a bit unconventionally and get creative with how you can use all of the different areas of your home. For instance, my husband’s home office was once on the main floor of our home. But as Little Miss has gotten older (aka louder), we decided to move his office into the basement to give him a bit more peace and quiet to focus on his work during the day. It’s not the most ideal setup since it’s a bit chillier down there during the winter months, but with a space heater and dressing a bit more warmly, my hubby doesn’t seem to mind. It actually works out better as before he had a tiny desk, but then he looked at getting himself a corner computer desk as it would give him more space to work with. We also have an area in our family room that is intended to be the dining area of our home, but since we can fit a fairly large table in our kitchen, we decided to make this space Little Miss’s play area. Just because the blue prints for your house have designated the uses for certain areas doesn’t mean that you have to follow it. Feel free to get creative and make your space work for you! Do you have things like cabinets that are a little loose on the hinges or a water filter in your fridge that needs replacing? We actually had a lot of those little tasks around our house that seemed to pile up on our “one day we need to get around to that” list. Once we decided we wanted to make more of an effort to enjoy our house while we are still here, we decided to treat our home like we were listing it on the market anyway. Which meant fixing all of those little things on our to-do list for around the house. While we have plowed through quite a few of those tasks, there are still a few left that we are trying to fix and spruce up as our weekend time allows. We can already say though that eliminating those daily irritants has really helped us to enjoy our home more! 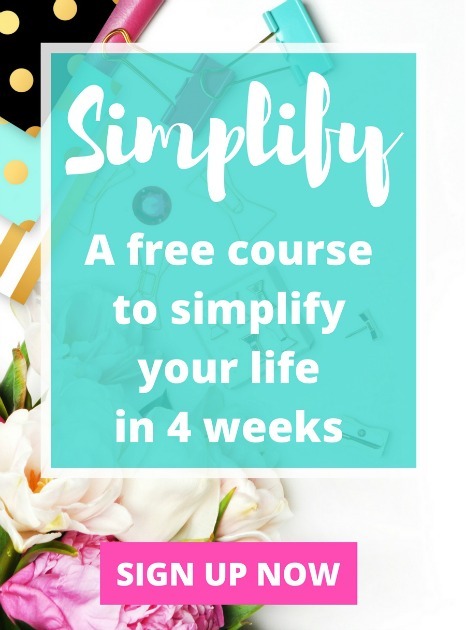 For the longest time, I was afraid to bring in new things into our home because I was on such a mission to simplify, simplify, simplify. 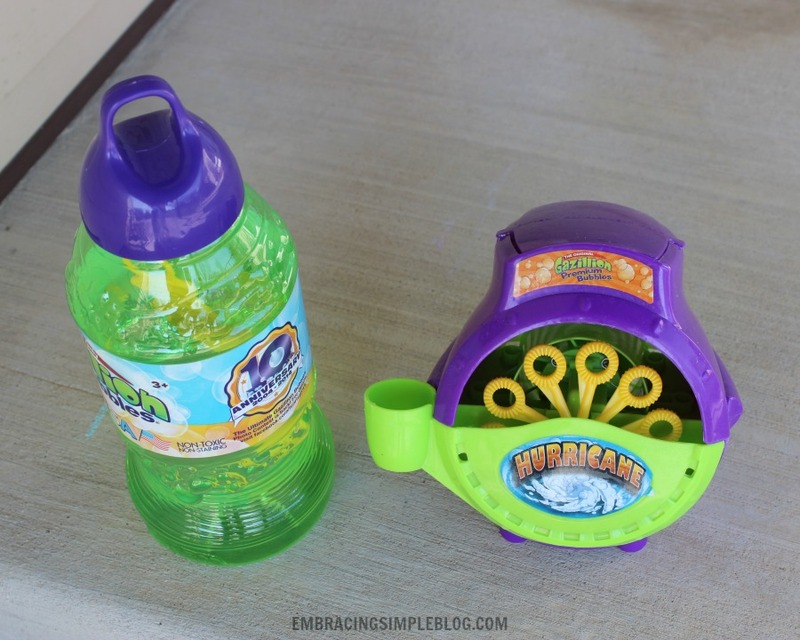 But I was losing sight of the fact that we were also missing out on some fun experiences at home from not buying certain things that I really wanted. Things like outdoor toys for Little Miss, board games to play with my husband, and a nice umbrella to shade our deck. I have to remind myself that sometimes it’s okay to bring new things into our home if they are going to help us cultivate experiences together and enjoy our home a bit more. That doesn’t mean we need to clutter the heck out of our space, but buying a bubble machine that brings Little Miss so much joy (and us through watching her!) and shade for our deck to enjoy sitting out there more in the warmer months are items worth owning to us right now. We spend a lot of time at home now that we have a child, so anything we can do to make our home a more comfortable and enjoyable place for us to all be is worth it in my book! This is probably another obvious one, but something that I can honestly say we did not have until a few weeks ago! For the last 5 years, we’ve been sitting on the world’s most uncomfortable couches in our family room. We purchased them when we were in our apartment before we bought this house, and somewhere along the way they not only started sinking into the frame, but recently started ripping on the arms! We made the mistake of buying the cheapest couches we could find at the time, and they looked like they had been through hell and back. My hubby and I were both tired of how uncomfortable they were to sit on and how they seemed to fall apart a little bit more every day. We spent months and months looking at new couches and saving up and finally purchased our dream couch last month. It’s literally the most comfortable sectional I’ve ever sat on and we seriously love it! While it was definitely a splurge purchase, it has made spending time at home so much more enjoyable. I only wish we would have bought it sooner! After figuring out ways to make our current home feel a bit cozier and more enjoyable, I can say that I’ve gotten to the point now where I really can’t imagine myself moving from this house anytime soon. Which is so funny, because just a few months ago I felt the complete opposite. 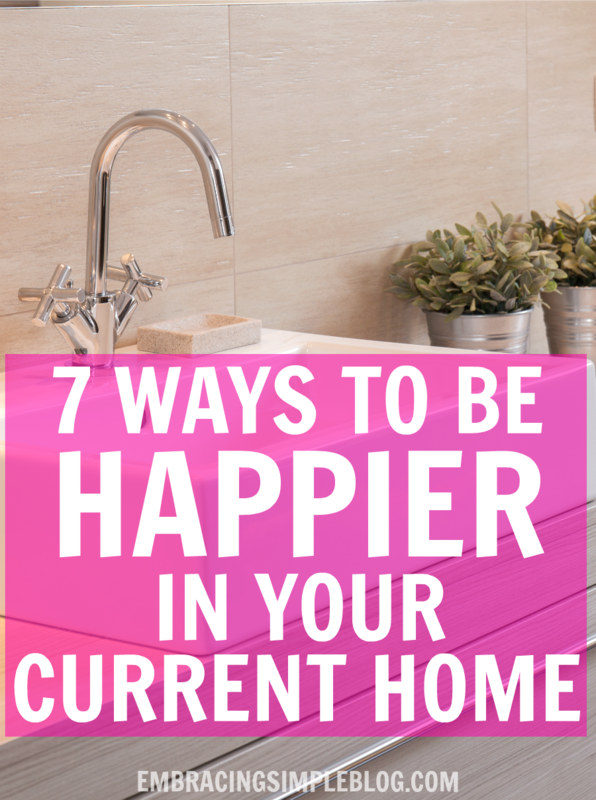 Are you happy in your current home? What are some things you’ve done to be happier living there? Thanks Suzi! And that’s an awesome deal, these bins really do help with organizing the toy chaos!! To give some Wow factor, I’d choose your favorite two colors, I.e. Red/black aqua/lavender. Then choose a pattern in those colors for the drapes, with solid colored covers for your small pillows. The neutral grey does not have to be included in the print. I agree! Since grey is a neutral, pick a color duo that makes you happy! Almost anything will go beautifully with such a pretty shade of grey! I have an idea about curtains to match your gray sofa…I would do gray and light yellow pattern. The yellow would also match with your wreath! Thanks so much for the decorating advice Julie! I have a gray couch and love my bright yellow and turquoise pillows on it! Looks amazing!! That’s awesome, thanks for sharing Daiawna!! Great tips. Love the sectional ! Where did you find it? My thing is all the toys I have for my twins. While it’s not a lot of toys (I suspect we have less toys than families with one child), the toys we do have, have many little parts. I like the idea of having a little area in the house for the play things. Right now the playroom is the living room, but I’m looking forward to streamlining all that! Hi Elna!! Ugh the toys with little parts are becoming the bane of my existence as Little Miss gets older LOL. My favorite way to keep them contained is to store the little parts for each toy in a ziploc baggie that I then keep organized by toy type within the toy bins. I’ll probably have to adjust my strategy a bit as she gets older and has even more toys with small pieces, but it seems to be working for now at least! This was a fantastic post!!! One of the best I’ve read in a long time! I think it’s so important to be happy where you’re at and make your home “home-y” regardless of how long you plan to live there. I really like that tip of “Getting creative with your space.” I’m lucky that we DO have a large house, but for a while I wasn’t taking advantage of that. I would work on the couch in the family room where the girls would be watching TV and toys were strewn about. I’ve since moved myself over to our formal living room, which is a quiet, kid-free (mostly) space with no toys and much fewer distractions. Seriously, these were all fantastic tips!! With a little time and effort, I think anyone can turn their current home into their dream home! Fixing all those little irritating things went on my list when we sold our first home. I was frustrated that someone else was going to get the benefit of finally having done those things. So we didn’t let them pile up in our next home. We also swapped furniture from it’s standard use to whatever we needed most. Moving a former night stand into the front hall to have a place to drop keys and hide mittens made life much better. We also dropped dead batteries into one of the drawers which made it easier to gather them for recycling when going to the library that had a battery bin. Ah YES Linda! I was starting to feel annoyed with myself when we were still planning on moving that we would have to fix all of those little things regardless, but that someone else was going to be enjoying them instead. That’s great that you’ve repurposed your furniture to better serve your current needs! The longer we stay here in our home, the more I find myself not wanting leave, despite the fact that we’re outgrowing it. We have a 3 bedroom home and I work from home. I have to have an individual office space, but right now it’s shared space with my 9-month-old son’s crib. My daughter has her own room. As our son grows, we would like to add on in the future instead of moving. I think what got us to that point is the fact that we’re in a great school district, nice quiet cul-de-sac, and we simply are happy where we are. We plan to upgrade our seating soon to better utilize the space as well. You’ve definitely made a good argument on ways to make your current home a happy place to be. I can see us doing a lot of the above. Thanks for sharing your thoughts! Thanks so much for sharing Latoya, it’s nice to hear that you love your home so much you don’t want to leave 🙂 If I liked the location and school district of ours a bit more, I think I may feel like that too! Christina, my daughter is now grown, but I got some really good advice from her preschool director when I was debating whether to put my daughter in an expensive private school ( I was a single mom at that point), or put her in the public school down the street. She said, “Kate will get a great education, NO MATTER where she is because YOU will be an involved parent.” Kate chose the school down the street because she didn’t want to be put in daycare which I would have had to do to PAY for the private school. I was VERY involved and she had a quality education, received hefty academic scholarships for college (including a full-ride to Seton Hall which she did not accept) and is now flourishing in her new adult life. Please keep that in mind when you are assessing school districts and a home you will love–YOU make all the difference. And THANK YOU for reminding me to get the annoying things fixed around the house to fully enjoy my home. I definitely have to agree with the tip to decorate as though you’ll be there for a while. If my husband and I had listened to everyone around us we would be living in an empty space with blank walls because we are in a one bedroom apartment. We knew that we wouldn’t be here forever, but we decided that regardless we wanted to make our little one bedroom feel like a home. So we ignored everyone who said it would be a pain when moving out and decided to paint the walls of each room plus hang up art work. I think it’s the best decision we ever made. Three years later in the same apartment and I don’t regret it all. I do have to admit that as we preparing to move in a few months while awaiting the arrival of our first child, stripping our walls and repainting is a bit of a pain. But I’m glad I didn’t sacrifice the joy my decorated home brought me in the last few years to avoid a few days of frustration while repainting. That’s awesome Terri! I wish I would of had that mentality when my husband and I lived in our apartment before purchasing our current home. I literally had nothing hung on the walls and it didn’t feel like home to me at all! 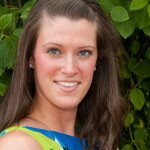 I just found your blog and I can’t wait to continue reading. I loved this post and your attitude towards life. Thanks for keeping this blog. I also wanted to say that, well, in my opinion purple curtains would look fantastic against the grey couch. Red would look good too. My couch is a darker shade of grey and my curtains are somewhat dark red and it looks terrific. Aw thank you so much Esther! And I appreciate the decorating tips!! What a great post! I would say that if you use space wisely you don’t need to have a huge home. I raised 2 children in two different houses with 1500 sf and one bathroom. If you stay organized it really does help and it gives you time to enjoy life. I have never had my dream home because I really never wanted to payment. Curtains…I would try a darker grey with some type of a shape on them with white sheers in the middle. Then you could open them and enjoy a fuller curtain window. I also would allow my pillows and décor to be the pop of color! Absolutely Lisa! And thanks for the suggestion on the curtains, I really like that idea a lot. Especially putting sheers in the middle, I never would have thought of that! There are definitely things I don’t love about our home, but it has been a wonderful home for us. It’s small and comfy. I’m constantly purging extra stuff because it can start to feel cluttered easily. We’ve been careful to spend money on things that will make the biggest difference for us, not necessarily what others would pick. I bet the rest of your home looks just as beautiful as these pictures! 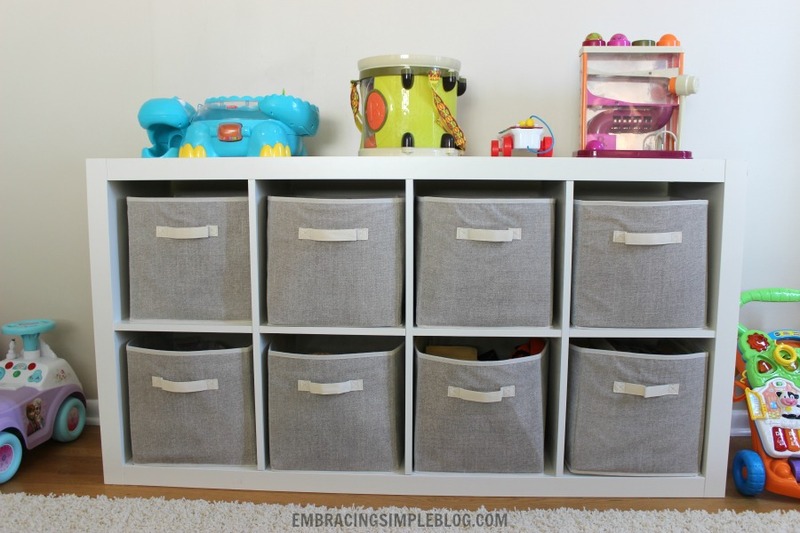 I love the little cubbies that your daughter has for her toys. I’m actually thinking about purchasing a piece like that for my little one. She has SO many toys that she has received as gifts and we are running out of closet space! Purge and donate some of the toys, share the joy. Great post! So very true. I’m working on my house now, cleaning out the clutter, fixing things and soon refinishing the floors. It’s not my dream home, but it works right now. Such a great post! And so timely for me. We just had a baby and have a fixer upper that’s more up than fixed. We’ve been complaining so much but moving is not in the cards for several years. I’m going to try all of your suggestions and I suspect my attitude towards this house will change, just as yours did! Aw thank you Jodi! Congrats on your new baby!! Your comment about your house being “more up than fixed” made me laugh, haha. And you are so right, there is definitely something special about the home you brought your babies home to!!! Good post. I use our master bedroom as a studio instead of an upstairs bedroom; that way I only have to use the stairs when I go to bed. As far as colors, I’d leave the walls as they are and use a black and white print for the curtains. We bought a house once where everything costly or permanent was black, white, or in between, and it was amazing how well that worked. Thanks so much for sharing and the suggestion Chris!! Great post, Christina! I live in an area where single houses ( built in the 1950s) are being replaced by multiple developments. But the developers offer very little for our house, so it’s no incentive to sell and move. Trouble is we don’t want to spend money on renovations as we know that eventually we’ll move to downsize. I treat the house like a rental…little touches here and there but not major cost. ( and I agree with you about the tidying and organising make a home much nicer to be in) I love that we have a largish yard so I have pots of petunias and geraniums scattered around, as well as plants on the veranda. Wow. I like my home to feel like it’s giving me a hug, I can’t imagine treating it as if someone else owned it. I found some comfort in this post. I have a larger home and it is so cluttered it’s uncomfortable. But I haven’t taken the steps you mention to make it a home. Right now it’s just a place. So I’m going to walk through the entier house with a notebook and look the space over making notes on what I can do to make this house reflect our personalitys, more than just ‘storage space’. I thing some very basic entire house fixes and then slowly room by room. I want a ‘happy’ place. As to curtains, Hunter Green. You can then use sheers for an extra color to match or highlight the curtians. Hunter Green has such a wide range of colors it coordinates with. people see them when they visit and it isn’t as overwhelming as looking at the whole room. Be creative and organized with that small area. Then when finished, take an “after” photo of same area which will give you a feeling of accomplishment and move on to “before” photo number 2 and so on. Before you know it the whole room will be beautiful!! What a fun idea Lee! That’s an awesome idea Cheryl! I love the idea of combing through your house and writing your ideas down in a notebook; let me know how it ends up working out for you! I think getting rid of a clutter is a huge part of enjoying a space more. Taking weight out of room not only looks better but feels better physically and emotionally. Be ruthless. If you haven’t used it or worn it in over a year, if it no longer “speaks” to you, if it’s broken, if you’ve bought a new one and still have the old one, if you don’t fit in it, if you’re holding onto the boxes just in case…get rid of it! I’m in the process right now of going paperless in my home office. Next I’m uploading and getting rid of all of the CDs I haven’t listened to in years and then I’m donating half of the contents of my closets. Ahhh, I feel better already. It makes tidying up and cleaning easier as well. As for the curtains, gray is a very neutral color. Almost any color curtain would work. Find a color you like and then get a few throw pillows in the same color. It will tie it altogether for you. Home staging tip: extend your curtain rods 1-2 feet beyond the edges of your window. By placing the panels along side the window instead of scrunched up next to the window (like in the photo) or partially covering the window, the window will appear much larger than it actually is and (bonus) you won’t obscure any sunlight. Awesome tips Lori, thanks so much for sharing!! Absolutely loved this post. Thank you so much. Glad to hear it, thanks Rene’e! 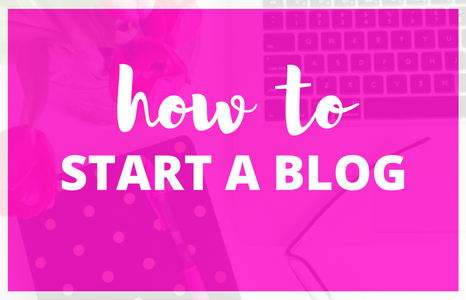 So glad I saw your post…thank you for these great tips! Brilliant ideas to use wherever you live and in any phase of home life. I’ll try most of them–they all make sense! LOVE the couch Christina! Our couches were hand me downs that are starting to break. I really want to buy a comfy grey couch like yours. Where did you get it from? Awesome post! I think turquoise and yellow or navy blue and yellow would look so great with your couch. If you dont want something so bright, I would find a black and white patterned curtain and go from there. Can’t wait to see what you decide! My problem is not with my house, but with the location which cannot be changed. That’s definitely a tough one Lori, I would say just try to enjoy the inside of your home and focus more on that instead of the location. I know it’s tough to do that though when you really hate the physical place you are in! Great post! We still live in an apartment and we have really been wanting to buy a house but just can’t afford to right now. So yesterday we reluctantly submitted our lease renewal paperwork for another year. I think this post motivates me though to now spend time making this apartment feel like a home for the duration of our stay. Aw that’s great to hear Amanda, definitely work on making your apartment feel more “homey”. My husband and I lived in an apartment before purchasing our current home and that’s one thing I do regret, I never even hung anything up on the walls and it totally lacked personality. I’m sure we would have enjoyed our time there more if I had done just a few things to make the space feel more like our own. Embracing your current house is so important, thank you for the reminder! Thank you Meagan! The picture is probably a bit deceiving, it’s actually a grey color. I need to give a family room update soon, but we ended up going with blue/grey wall color that we just finished up this past weekend; now I just need to find some pillows to give me a pop of color! I like my house But really do not like where it is. I bought and few house plants and started an outdoor container garden. It really helped with feeling more ‘at home’. That’s awesome that such a simple addition to your home is making it feel a bit cozier for you Ronnie! I feel like you wrote this post for me. I’ve been living in my current house with the wrong mindset and now I’m trying to do little things to make it feel like home. Thanks for more ideas! Aw thank you Brittney, I’m so glad you found it to be helpful! Aw that’s awesome Jean! I love telling yourself “welcome home” as you pull in, what a great way to stay in a positive mindset about loving your home 🙂 Thank you for sharing!! A few years ago we moved into a different house and I spent a better part of 6 month prepping our house why my husband was deployed. We had lived in the same house for 15 years, revamped and upgraded as we went along. At the end of 6 months I had decluttered my house, painted and deep cleaned the whole place. It was lovely, bright and airy. 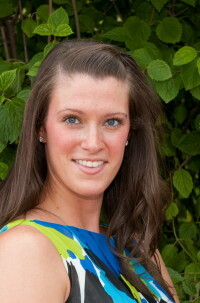 After meeting my realtor, I started doing some side work for her and viewed many houses before they went on the market. I can not stress enough the transformation that DEEP cleaning does on a house. I’m talking wiping baseboards, cleaning fixtures throughly, wiping cabinets down, and washing windows. Most of us are so used to living in our current homes that we don’t see that there is a thin layer of grime here and there or that the walls are dirty. We simply get used to seeing it. That’s a great point Nicki! What a difference deep cleaning everything can make, thanks for sharing! Great article!! We are planning on moving away in 5 years, after our youngest graduates high school. What a great reminder to love where you live while you live there!! Thanks Niki! That sounds like so much fun, where are you planning on moving?! I just came across your post and am so happy that I did! My husband and I are renting a tiny apartment until we can find a house in our price range. It’s sooooo hard sometimes because I’m not allowed to do much in the apartment such as painting, new cabinets, etc … It really is a downer since I love redecorating. I loved your tips, I just need to be thankful that I HAVE a home! I especially loved the idea about how it’s okay to spend money on items that cultivate your experience at home, I found myself not buying things because of the fact we are not in our own house. Thanks again for the tips, I will definitely be trying them out! Aw I’m so glad to hear it McKenzy! Sometimes just doing little things can make such a big difference with how much we enjoy our homes!! Thanks so much for the input Pam! Haha funny you should mention, I am in the process of labeling the toy bins! One of those things I keep meaning to get to 🙂 Love me some organized toys!! Great room. I love the gray walls, and doing a focal wall in a different color would look great if your into painting just a little more. Pick a color, you have had lots of suggestions on that. All of them good ones. I would buy some pillows that have some texture to them to give some dimension. I would find an area rug to put in front of the couch in whatever feature color you have chosen. Then I would look at it again and see where to go from there. Good luck and hope to see the finished product. Love your blog as well. Thanks so much for the input Joan! This is great! We had a similar mentality for a while when we just stopped doing little things to the house because of one reason or another. These last two years, we’ve changed our attitude and have slowly been redoing things around the house and it’s so much happier!! I have to ask where you found that grey couch!! It’s exactly what I want!!! That’s awesome to hear Mandy! We got it at a local Chicagoland furniture store called Darvin –> http://www.darvin.com/. I loved this post! I have to say thank you so much for helping me to face my current situation in my life and react. I’ve been sick and stressed about many things such as my job (school teacher in Brazil) and the accustic in my house. I have problems to sleep as well. But my house is big and beautiful and I will try these steps. God bless you! Aw thank you Raquel, I’m so glad you found it to be helpful! 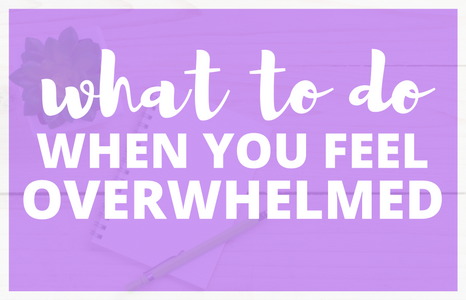 I’m so sorry you’ve been sick and stressed lately, I hope these strategies help you a bit! Great tips. Thank you for sharing. We have our NJ home on the market right now, so I go back and forth if I should continue making it the way we want it or save money for our new home. We also bought a cheaper couch and in a few years it fell apart. I was hoping to wait till we move but getting stressed with the living room not being the way we want it. Can I ask where you got your couch? That is the size we need and I love the style and color. When we move we plan on doing a gray and ocean blue color theme. So I would go with pops of blue. Somehow I’m thinking a light, cool green for the curtains but I’m not sure why. Maybe with forsythia yellow accent pillows on the sofa, teal ones too. For the awesome options others have listed I especially love the teal/turquoise/something else combo and there was one other combo that was only mentioned once I thought would be cool. I’d never have thought of yellow OR teal but I think those would be great accents. I’m still thinking a calming cool, light green for the drapes, though. Or match the paint color to the drapes you choose. Matching the drapes and walls make the room seem bigger, if you want to do that. You could still have the trim a slightly different color if you want. Maybe have an accent wall that’s a brighter color if you like more color. You mentioned painting a subtle color, though, so I’m thinking you may not be looking for the drapes to ‘pop’. Jmo. Great post… would like to share this. Many years ago when my 3 kiddies were small I felt dissatisfied with the home we were living in. The neighborhood was difficult to adjust to very cliquish, and there were things about the house itself I felt I didn’t like. About 2 years after we moved in we actually put the house up for sale. It didn’t sell. Now, I do tend to be a person who looks for “signs” I felt since it didn’t sell maybe we were meant to live there. Over the years there were so many memories made as the children grew up, pictures taken on the front steps every first day of school, loved ones who sat at the dining table and have since passed on, proms, the pranks we would pull on one another, birthday parties, the window where we placed the Christmas tree each year, the tree we planted that has grown so tall. That house became so much more than flooring, cabinets and fixtures it almost became a living thing. My children are now grown and live on their own…. I have downsized but we all drive by that house every once in awhile to see how it is being treated by current owners. My children have all said if they were ever to win the lottery they would love to buy back the house. Living in that house was a blessing that took awhile to appreciate. If I was you I would get some simple coverings for the pillows with some of yr favorite colors. You might also find some small items to display the same color or bright gold or silver to brighten up the room and you when u look at it. Great ideas! I’m in the same situation pretty much! An almost 2 year old, 1800sq ft, doesn’t make sense to pay so much more for a new house, so we’re trying to make the house more our style! I like your thoughts on this!! We still rent and I think one of the things that is frustrating is not being able to make small changes that would really make the house better. But, what has worked for us is the fairly boring stuff of making sure things have a place to be, and keeping them in that place! 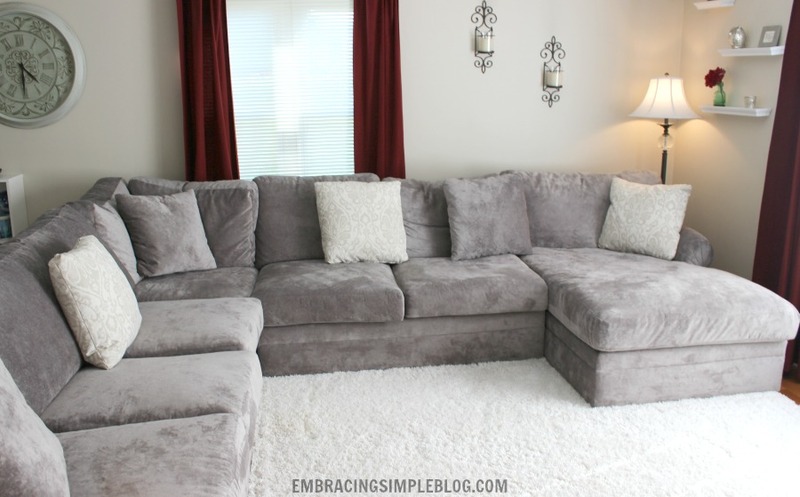 Oh, and a new couch – comfort makes a HUGE difference to liking your home! Absolutely! Thanks for sharing Vanessa! These are really great tips! We’re in a small home but haven’t found anything else, so I’m determined to declutter so this home works for us a bit longer. Thanks for these wonderful ideas for enjoying our home now! Thanks so much Kristin! 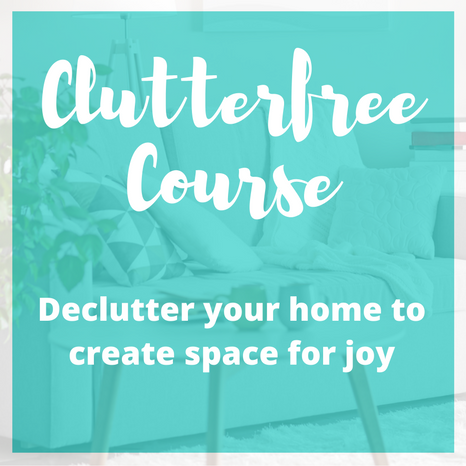 Good luck with decluttering, that will make such a wonderful difference in your home!! Usually with lists like these there’s always at least a couple things that seem not very helpful, but I can honestly say I love and agree with all 7! A little over a year ago we sold our home in Az and are now renting a home in Ak that is less than HALF the size of the one we sold while my husband completes his last years of schooling. What I’ve noticed during all this is that we are just as happy (probably even more happy) here as we were in the larger home. It’s easy to think you’ll be happier when you get to a certain stage in life. We worked for so many years before we could afford the “big home”, only to find that there’s not much of a correlation at all between home size and happiness. The happiest people really are the ones who are grateful for what they already have. Hi! I like your article a lot. Thank you for the great ideas. I would like to ask where did you find your new comfortable sectional? We have looked and looked at furniture and I have a small living room. We recently purchased a two recliner sofa that doesn’t work for the room (it takes up to much room for only two seats). Thanks in advance. Hi Ginger! I’m not sure where you live, but we purchased it from a furniture store in the Chicago area called Darvin (http://www.darvin.com/). teal blue or white for curtains and assessories would look great with that sofa. For the last year my husband and I have been looking at homes with more land. – an acre or more. I wanted a larger garden and a chicken coop! We live in a subdivision on 1/4 acre lot. We have a swimming pool and there is not much yard. We have an area picked out where we ‘do like to live but after a year of looking and finding that the real estate taxes would triple, we’ve recently decided to stay put. We have found some ideas to build garden boxes going up the privacy fence and a few other ideas that will work wuth ysing the land that we gave. Our HOA will not allow chickens so will have to forego that idea or find someone who will trade goods for farm fresh eggs. It sounds like you are doing a great job at making the most of where you already live JoAnn, I love your creativity with the garden boxes too! 🙂 Thanks so much for sharing! This post was extremely helpful if you cannot afford to be in your dream home. I’m cutrently in my 1st home, going on 17 years now, and I’ve always lamented over more space. Come to find out, I simply dont need it! Just like you have done, I started sprucing it up with paint, different furniture (notice i said “different” & not “new”) and different decor. I’m slowly getting there with having my home completely done in a Bohemian style and I ABSOLUTELY LOVE IT NOW. I am set to be married in June 2017 to a wonderful man who wants to get us another one with more space. I am so happy with how my house makes me feel now. Thanks for this because I do believe you’ve probably saved many people a LOT of money! Aw thanks so much April! Where did you find your sectional? Love it! Very inspiring ideas,it helps me a lot to improve the result of my job. This is all great advice! Another couple of things I do when I want to like my current home better is to paint a new color on the walls and rearrange furniture/decor. Great post! I love that sectional. I’d use a soft gray on the walls-BM Revere Pewter is lovely. Then find curtains with gray and cream stripes. Teal and yellow are perfect accent colors for a pillow or throw blanket if you want to add color. Otherwise, the cream/ gray combo- adding lots of texture and different patterned pillows in those muted tones- is wonderfully soothing.